Storytelling, more specifically good storytelling, is one of the key ingredients to a truly immersive experience. However, virtual worlds require more thqan just good storytelling, they require good, dynamic storytelling, where the stories ebb and flow as the actions of the players change them, often in ways the storyteller did not expect or anticipate. Iur resources are intended to help you to let your stories go with the flow, as well as providing you with an impressive array of material to draw from. Mythology and folklaw has much to offer the storyteller. Some of the grandest stories ever told, have been mythological in origin, and there is more variety than you could believe. From quests to local legends, from mighty heroes, to cataclysmic battles, here is a wealth of material, ripe, and ready for youyr use, in weaving your own mythos, legends, and true backstory to your world's tale. This long, and detailed article, calalogues the history of myths, from the very first written myths, to their extinction in the 21st century. It looks at the reasons why they've become extinct, and describes some of the stepos needed to reintroduce them into your worlds. This short conclusion to the three-part series builds on the prior two to explain just how you can easily integrate myths, folklore, and legend into your world. Looks at the causes for the demise of mythology in our world, and the three factors that nailed it's coffin shut. It then goes on to show us the lesser cousins of mythology that still exist in our world, and where they may go towards in the future. Whilst obviously, often referring to specific Norwegian folktales and mythologies, this outstanding work concentrates on the differing natures of folktales, and myths - how to tell one from the other, and what makes them believable. The last in this series, it looks at the setting of your myth capturing the feel of enduring myths from our world, and looking at the elements that set the tone, and trigger remvembrance. This well-written article takes a look at how ceremony and ritual, used correctly, can create the seed for mythology in the player's mind. This absorbing article discusses individual plotlines, almost as within the soap opera model - each is complete in and of itself, but each also lends not to an overarching plot, but to an interwoven thread of overarching plots. A worthy read. This looks at local myths - how they form, what they can be based upon, and the creation of something that's meaningful to your players at the time of it's creation, later growing in to something more. This article looks at taking mythology one step further, the creation of rituals and ceremonies for your own world, and everythin involved in creating them; step by step. An interesting article written about using the hero's journey as a framework for a mini-plotline, using Star Wars as it's example. This article takes a look at the hero's journey, and dissects it quite thoroughly into it's individual sections, which are then explained in considerate detail. A short article on the subject of horror. It explains how to horrify the participant you don't have to shower monsters down upon them, true horror is tension, a sense of something wrong on the outside, clawing to get in. One of Ireland's greatest myths, the T?in is an epic struggle between provinces; great war, and strife - over cattle. This fascinating tale shows how values, different from our own - even radically so - can inspitre great tyranny and hardship within a civilisation. As a game designer or new media storyteller, you know that the story is everything. However, figuring out how to tell it interactively-and in a way that keeps your audience coming back for more-can be challenging. ?Here's a rookie mistake for a would-be Internet storyteller: Start a roleplaying, story-oriented mud, but make it all about you. Only tell the stories you want to tell, the way you want to tell them, and, no matter what, don't let your participants share in the effort of fleshing out the world you've created.? A timely report from the guardian's staff blogs about how video gaming, rather than being the death of literature, is truly another form of it, one which is crying out for writers, and which stands a very good chance of becoming a higher art form itself. A LARP or a MUD is a very different storytelling environment to a tabletop roleplay. When it comes to storytelling, or guiding the plotline of a world whose players are often out of earshot or completely unpredictable, an entirely different approach is necessary. 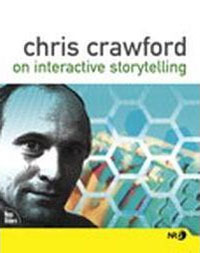 This book constitutes the refereed proceedings of the first International Conference on Virtual Storytelling, ICVS 2001, held in Avignon, France, in September 2001. This book constitutes the refereed proceedings of the second International Conference on Virtual Storytelling, ICVS 2003, held in Toulouse, France, in September 2003. This book constitutes the refereed proceedings of the third International Conference on Virtual Storytelling, ICVS 2005, held in Strasbourg, France, in December 2005. Before you can create a good plot, you need to be sure you know what a good plot is. What are the building blocks of a plot? What do you need to consider, before you begin to sketch out a storyline? Designed more with game genres in mind, this collection of lists is nonetheless full of commonsense advice for any budding plotline. Written by Lee Sheldon, a professional entertainment writer, with such credits as Star Trek: The Next Generation", "Charlie's Angels", and "Edge of Night" to his name, this book is all about writing good, solid, sweeping plots for interactive entertainment. A short intro article on the basics of developing a storyline, for use in interactive fiction. An interview with Lee Sheldon, proponent of epic plotlines for MMORPGs, and professional scriptwriter. The interview centers around his new book, "Character Development and Storytelling for Games"which can be considered core reading material for plot development. ?For those considering embarking on the ambitious effort of building their own original story telling arena, take heart. It can be done.? "The problem with writing in games is that we point out when it's terrible, but we don't praise it enough when it's good." A second, deeper look at creating interactive stories, branching dialogue, and trying to create a feel of player participation whilst guiding them to specific destinations.